Aric Almirola heads to Richmond (Va.) Raceway this weekend, where he earned one of his four top-five finishes last year. The confidence at the track where Almirola has had success before is key this weekend as he comes off one of the unluckiest races of his career. Last weekend at Bristol (Tenn.) Motor Speedway, Almirola brought a fast Ford Mustang, starting the race in sixth. While running on the outside of William Byron’s No. 24 machine in turn two on lap two of the race, Almirola was pushed into the wall when Byron got loose and slid into Almirola’s No. 10 Smithfield Get Grilling America Ford. The right-front corner of Almirola’s Mustang hit the wall first, and the impact bent the lower control arm beyond repair. With Almirola unable to steer his racecar, his race was over. The DNF (Did Not Finish) ended a six-race streak of top-10 finishes. Seeing his string of top-10 finishes come to an abrupt end, Almirola dropped from fifth to ninth in the championship. Luckily for Almirola, Richmond is one of his favorite tracks on the circuit, one where he is most confident. In 14 starts at the Richmond oval, Almirola has captured two top-five finishes and four top-10s. He has an average Richmond finish of 15.5, and earned his best finish of fourth in September 2015. He has six Richmond starts in the NASCAR Xfinity Series with one top-10 finish, 10 laps led and an average finish of 16.2. While last weekend didn’t go the No. 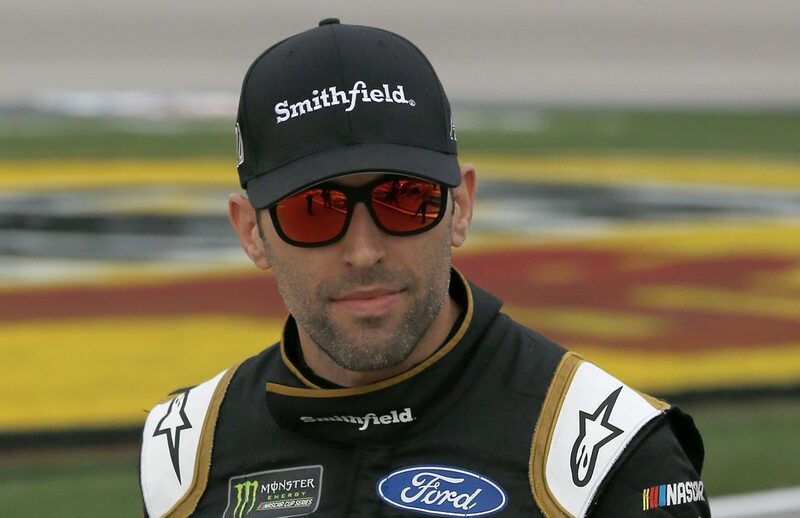 10 team’s way, Almirola has already surpassed his previous best over a season’s first eight races by earning one pole, one top-five finish, six top-10s and has led 72 laps. Ford Mustang drivers make up half of the top-10 in the point standings, including Almirola. Ford has also earned 32 all-time series wins at Richmond. Almirola will adorn a special Get Grilling America Smithfield paint scheme this weekend at Richmond. With summer in full swing, fans have the opportunity to celebrate the grilling season by entering Smithfield’s “Hero of the Grill” contest that Almirola and five-time world-champion barbecue pitmaster Tuffy Stone helped launch last year. Fans are encouraged to nominate their favorite grill hero by visiting SmithfieldGetGrilling.com. One “Hero of the Grill” nominee will win $5,000. You can pick up your Smithfield Extra Tender Pork Ribs at Walmart this grilling season. While fans nominate their “Hero of the Grill,” Almirola and the No. 10 Ford team will battle it out this Sunday to try and become the hero of the track by grilling up their first win at Richmond (Va.) Raceway. What kind of challenge does a short track like Richmond bring? What’s it like to race at Richmond? Is it difficult to adjust from the larger tracks you race on to all of a sudden being at a smaller track like Richmond?